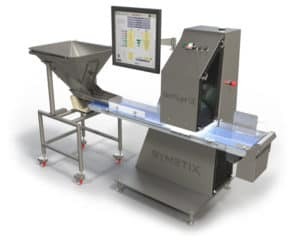 SYMETIX®, the pharmaceutical and nutraceutical group of Key Technology, provides world-class automated inspection and continuous processing systems that enable you to meet commercial, marketplace, and regulatory demands efficiently and profitably. With best-in-class technology and continuous processing systems designed to GAMP guidelines and FDA 21 CFR Part 11 requirements, SYMETIX has FDA-validated inspections systems installed worldwide for capsules and tablets. Explore how we can help you increase throughput and reduce labor costs by learning more about our systems below. VeriSym Optical Inspection Systems are available in a range of capacities to fit your production volume – from rates of 200,000 up to 1 million solid doses per hour. Contact your local sales representative to learn more.